I love cereal and this time of year, I especially love monster cereal. You know... General Mills monster themed cereal with little marshmallows. 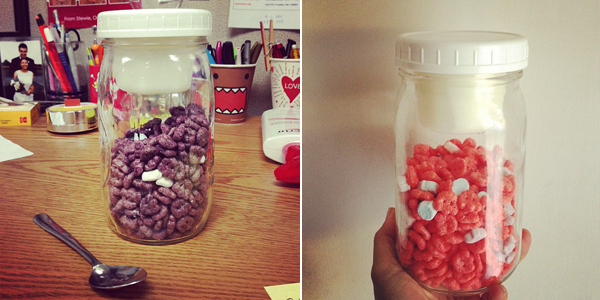 Booberry and Frankenberry are my favorite. This year I was able to use my new Cuppow BENTO cup to transport the milk for my cereal in a mason jar to the office for breakfast. 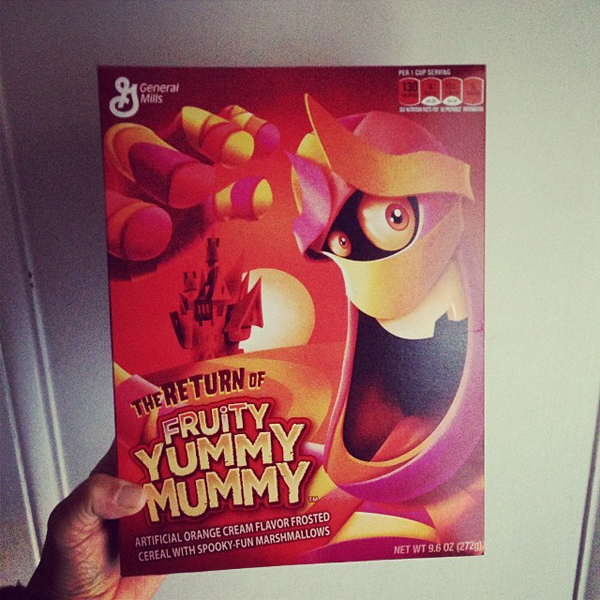 I was stunned when Aaron came home from Wegmans one night with a monster cereal I'd never had before! Yummy Mummy! Turns out it's not new and it's not the only one I didn't know about. 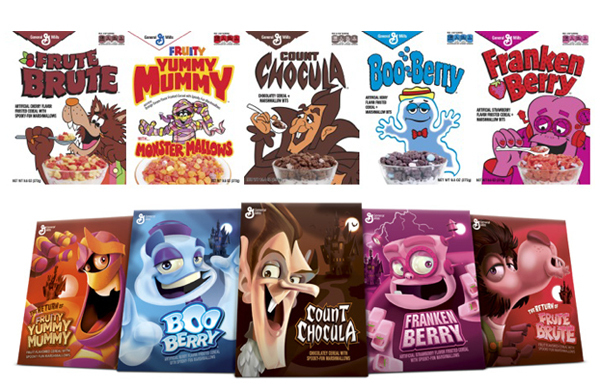 There are FIVE monster cereals and this year they re-released Yummy Mummy along with another one I'd never heard of, Frute Brute. Yummy Mummy was like orange creamsicle. I havn't been able to find the Frute Brute. BooBerry is still my favorite.